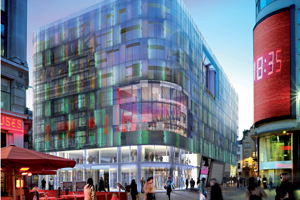 Starwood Hotels & Resorts Worldwide is to debut its W Hotels brand in the UK with a London opening. The luxury property, W London-Leicester Square and The Residences at W London-Leicester Square is scheduled to open in late 2010. It will be situated on the site of the former Swiss Centre and offer 194 rooms, as well as ten luxury residences. A meeting space, spa, fitness centre and restaurant will be among the other facilities on offer. Starwood Hotels & Resorts North West Europe senior vice president director operations Michael Wale said: "W London-Leicester Square will offer escape, exclusivity and innovative design in the heart of London's most dynamic district." The chain has also announced it is to open W Manchester in 2010.